This past week I volunteered in my friend, Sandy’s room. Sandy is a 6th Core teacher. 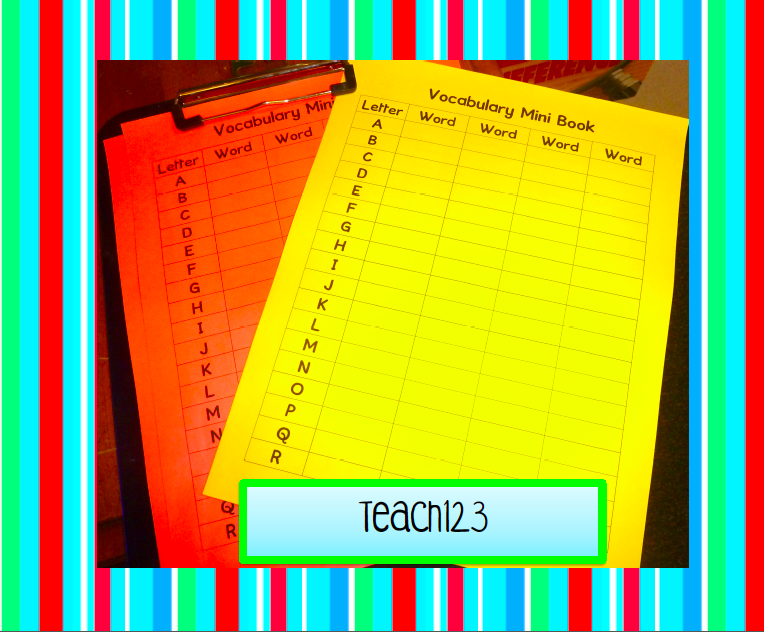 She wanted to find a new way to incorporate vocabulary in her lessons. We brainstormed together and came up with a plan. 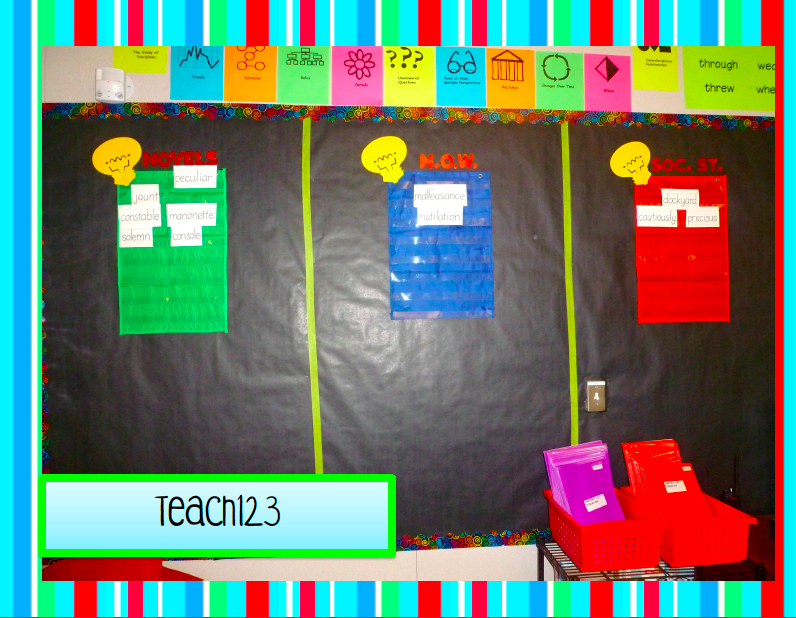 First, we made a word wall and divided it into the following categories: novels, N.O.W., and Social Studies. I wrote about N.O.W. in a previous post. You can read about N.O.W. by clicking HERE. 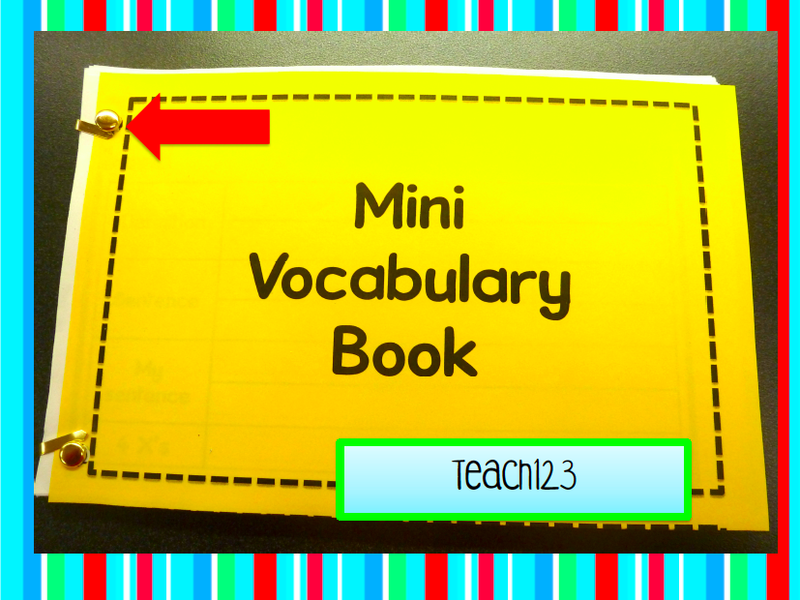 The words in the small pocket chart from Target are the current week’s words. Sandy will have word wizards who will be in charge of writing the words each week. At the end of the day on Friday, the helper will hang those words in the black area of the bulletin board so the pocket chart will be ready for Monday. At the end of each unit, the helper will gather all the words, punch a hole in the corner, put them on a ring, and hang them on a clip. The ring of words for the different weeks or units will hang on hooks at the bottom of the bulletin board. The helper will make a front cover for the ring so students can easily identify the word list. 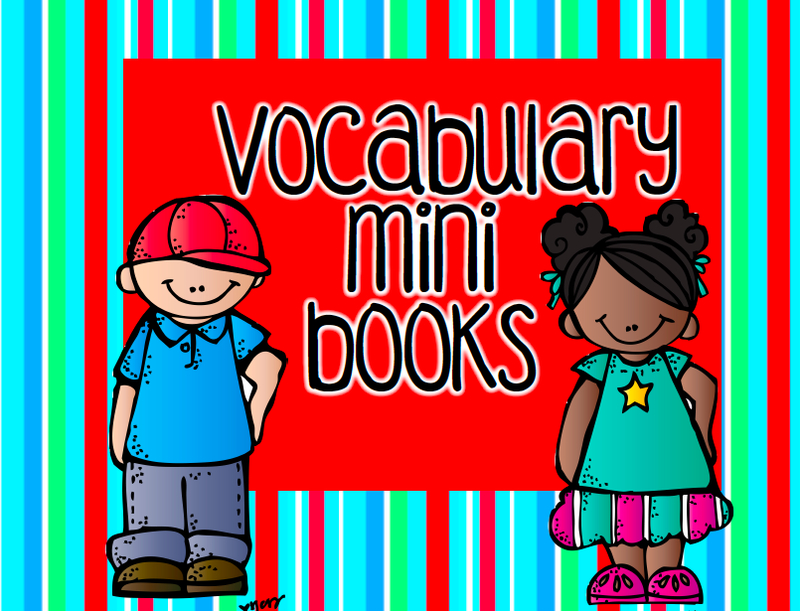 Throughout the week, Sandy will choose words that students will add to their Mini Vocabulary Book. Her students liked the books because it was about the size of a iPad mini. Sandy has a AM Core class and a PM Core class so we made two different colored books.. This assignment will be differentiated so I copied recording sheets on different colored paper to match the class books. Since Sandy wanted 4 copies of each letter page, I printed 4 copies of each page, then I printed it front to back, cut it in half, punched 2 holes in it, and bound it together with 1 1/2 inch brads. I found a solution for the moving brad problem. I folded over the ends of the brads which kept them in place better. How long was it free? I must have missed it. Thanks for the freebie! It's great! Love your blog. Thanks for the freebie. This will be very useful with my fourth graders! What a great idea…meaningful and simple prep. Thanks for sharing Michelle. 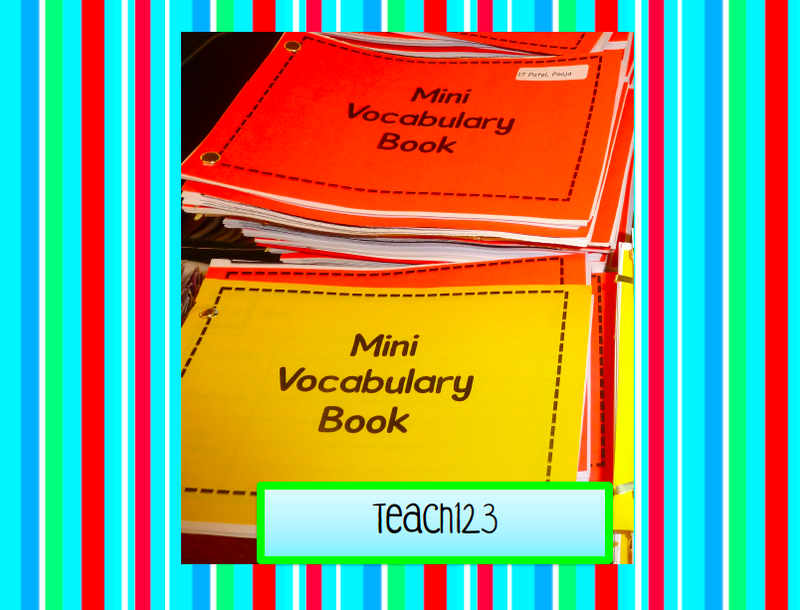 Michelle, that for the terrific Vocabulary freebie! I'm your newest follower.